Location: Adjoining Melbourne house, stepped down and advanced; set back slightly behind a low rubble wall. Exterior: c1830. 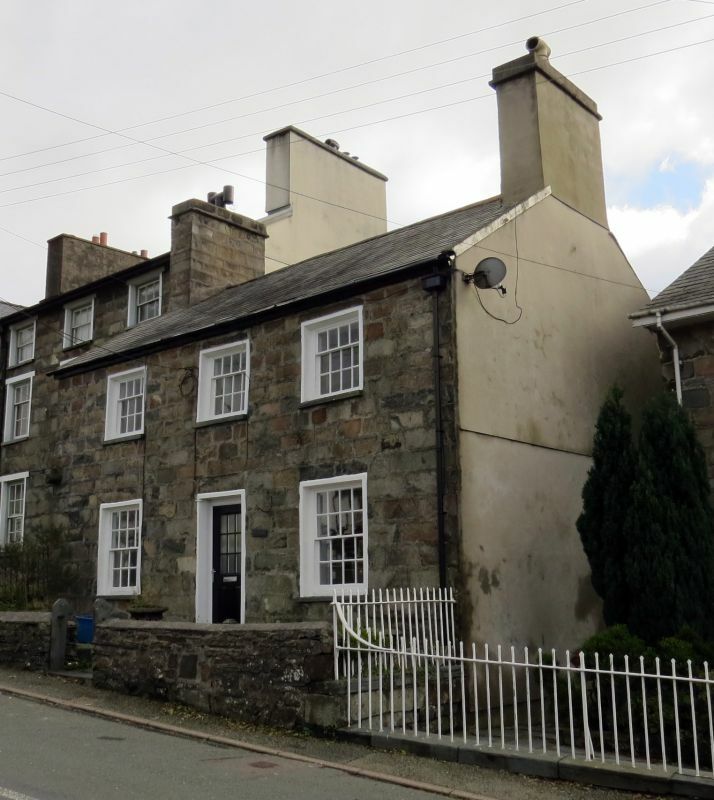 2-storey house of ashlar-faced rubble with slate roof; tall end chimneys, that to the R rendered. Symmetrical 3-window front with central entrance; narrow stucco entablature with C20 part-glazed door. Original 16-pane recessed sash windows to the ground floor with stucco entablatures and slate cills; similar 12-pane windows as before to first floor. Rendered R gable. Included for group value with other listed items in Church Square. Facing the square to the SE; set back on a slightly raised terrace behind plain contemporary railings. Prominently located on the SE corner of the square partly behind a plain, railed forecourt. Facing the square prominently to the N.
Prominently sited at the junction of the A 470 and the B 4391; facing Church Square to the W.